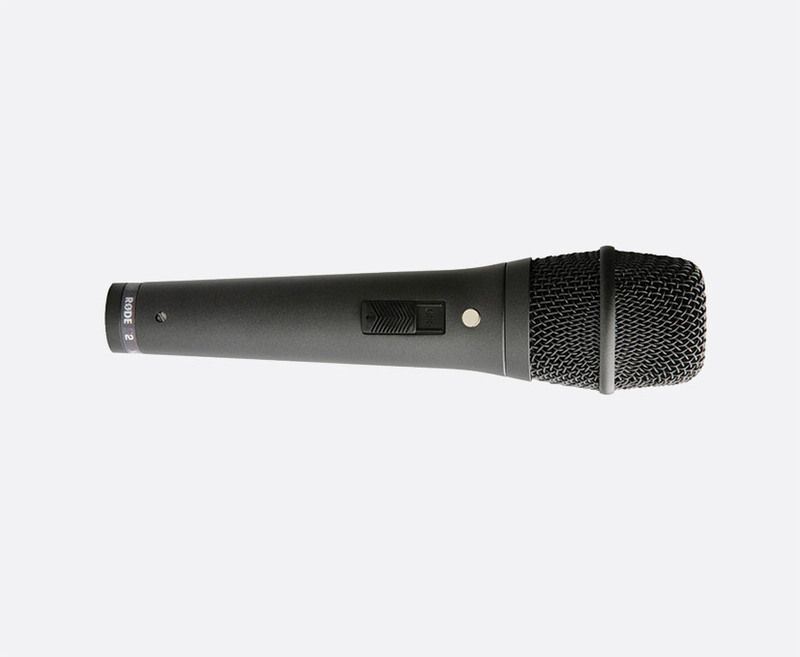 Suitable for use hand-held or stand-mounted, for instruments, speech and vocals. 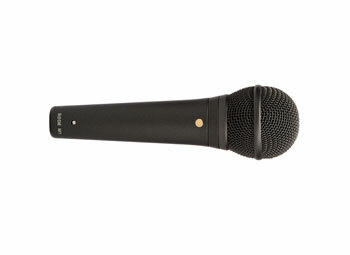 Rode's M-series of end address microphones offer flexibility of use either on stage, in the studio, or on location. 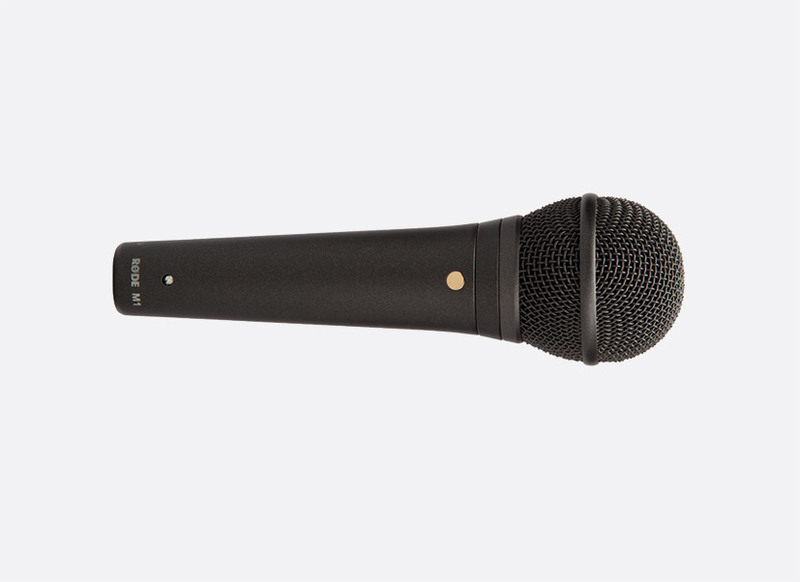 Designed for live use, the Rode M1 dynamic microphone has a neodymium capsule with cardioid polar pattern helping to reduce unwanted stage noise pickup from behind the microphone. Offers a smooth response across the frequency range of 75Hz to 18kHz. All metal, rugged body design; 3-pin XLR connector. Applications: Live vocals. 'An equally strong performer on guitar amplifiers as well as kick drum, snare drum, toms and percussion'. Response: 75Hz to 18kHz. Sensitivity: -56dB re 1 Volt/Pascal +/-2dB at 1kHz. Weight: 360g. Dimensions: 171 x 51.5 x 51.5mm (h x w x d). 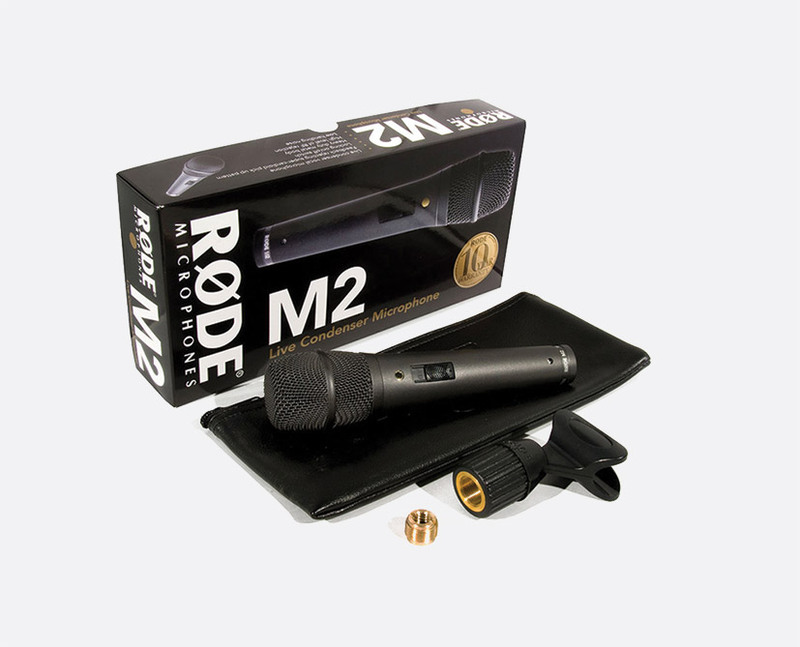 Included accessories: RM1 microphone clip, ZP1 padded zip pouch. 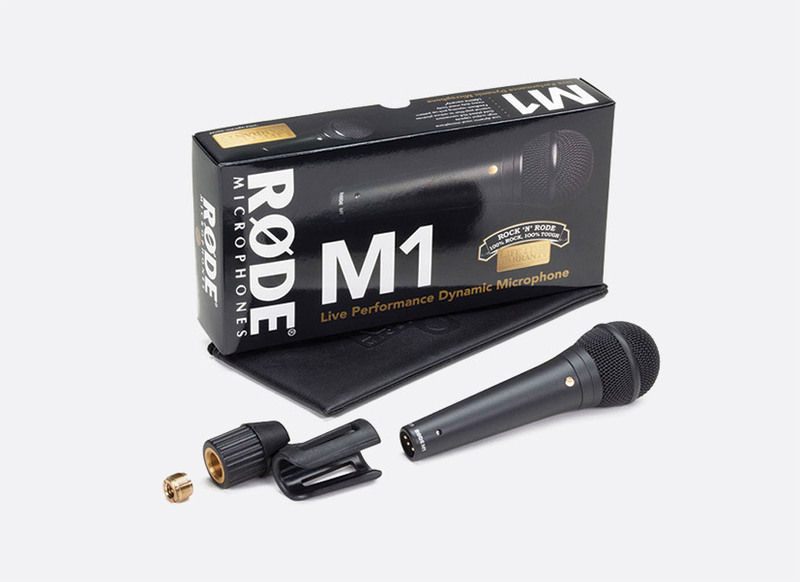 Much like the Rode M1, the M2 has been designed for live use but it has a more defined sound thanks to the 1/2 inch condenser capsule and super-cardioid polar pattern. All metal housing with lockable plastic on/off switch. 3-pin XLR connector. Applications: Live vocals. Response: 35Hz to 20kHz. Sensitivity: -44dB re 1 Volt/Pascal +/-2dB at 1kHz. Weight: 308g. Dimensions: 187 x 47 x 47mm (h x w x d). Included accessories: RM3 microphone clip, ZP1 padded zip pouch.